In this part of our tutorial we’ll speak about domain controller. The domain controller is the backbone of Active Directory. Without a domain controller, you can’t have a directory! Windows NT 3.1 (subsequently 3.5 and then 3.51) should not be confused with Windows 3.1 which was a 16-bit client operating system. The domain functionality included with Windows NT was not a multi-master model like AD DS. Thus, there was a primary domain controller (PDC) and backup domain controllers (BDCs). All changes were handled by the PDC. A BDC could be promoted to a PDC in a disaster recovery situation. Today, we have the PDC Emulator FSMO role which is directly related to the original PDC. With the release of Windows 2000 Server, Microsoft revamped a large amount of the traditional domain and marketed the service as Active Directory. A key feature of Active Directory was the multi-master model which allowed most of the Active Directory functionality, including changes, to take place on any DC in the domain. With Windows Server 2003, Active Directory was updated with some administrative enhancements (such as multi-selecting objects in ADUC), added the ability to create forest trusts, and added the universal group membership caching feature. Other features were added or expanded too, especially around command-line administration. AD FS and ADAM were big enhancements, especially looking at them today in 2015. Back then, they weren’t used much though. ADAM later became AD LDS while AD FS was updated along the way for cloud integration. With Windows Server 2008, RODCs became an option which allowed administrators to deploy DCs in insecure computer closets at branch offices, among other uses. In addition, fine-grained password policies were introduced, albeit with some administrative challenges such as not having a graphical user interface to manage the policies. Windows Server 2008 R2 introduced the recycle bin and the PowerShell module. 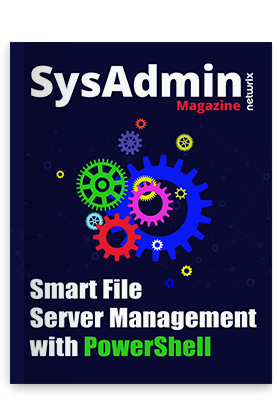 Windows Server 2008 R2 continued refining some of the features introduced in Windows Server 2008 and offered the Recycle Bin and a PowerShell module which was paramount for administrators to be able to effectively manage AD DS from PowerShell. The long awaited graphical user interface tools to manage the Recycle Bin and fine-grained password policies were introduced. Additionally, virtualization was enhanced and support for virtualizing DCs became mainstream. See https://technet.microsoft.com/en-us/library/hh831477.aspx for a complete guide on the changes. New features included multi-factor authentication, single sign-on from connected devices, and multi-factor access control. See https://technet.microsoft.com/en-us/library/dn268294.aspx for a complete guide on the changes.